Excellent full bodied Merlot that would even make Miles happy! 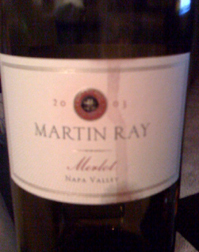 Tons of layers that were a mix of dark rich fruit and spices and earthy notes of meat and pine. Not cheap but is comparable to the full bodied Merlot’s coming out of Washington state for twice the price.